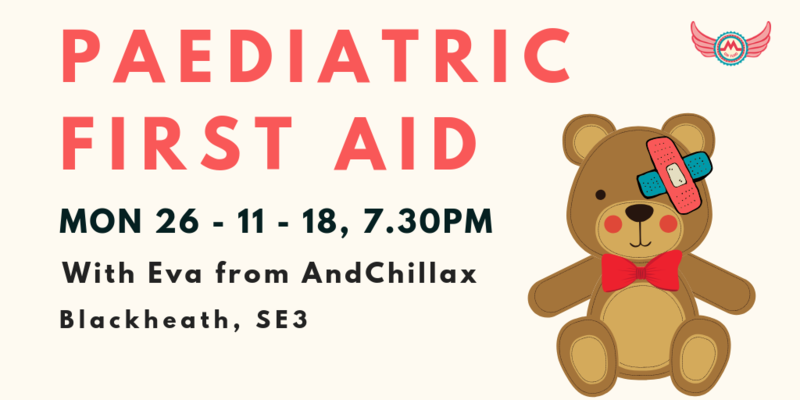 Back for the 7th time for MGF, this incredibly popular two hour session is aimed at parents, who want to understand how to deal with emergency situations that may occur with infants and children. It always sells out (we have an exclusive MGF discount too) – so don’t dilly dally when it comes to booking tickets. Basic Life Support, including CPR resuscitation. Choking hazards, including back slaps and abdominal and chest thrusts. Normal price: £35 per person / MGF price: Save 10% £32.50. This Includes a FREE first aid manual and a FREE manikin face shield to protect you from germs during CPR section. ps – The Old Bakehouse Theatre is behind the Age Exchange Reminiscence Centre in Blackheath Village. Walk down the road between the travel agents and Lloyds Bank (Bennett Park) and it’s the first turning on your left. There is no parking but you can park in Blackheath Station carpark, next to the post office or on local streets after 7pm (please check the signs). It is a 3 minutes walk from Blackheath Train Station and a 1 minute walk from bus stops. Not already in our squad? Join our Facebook Group, follow our Facebook Page and check us out on Instagram and Twitter. There’s always room for one more.